There is something special about stories that spread the joy of books and reading. 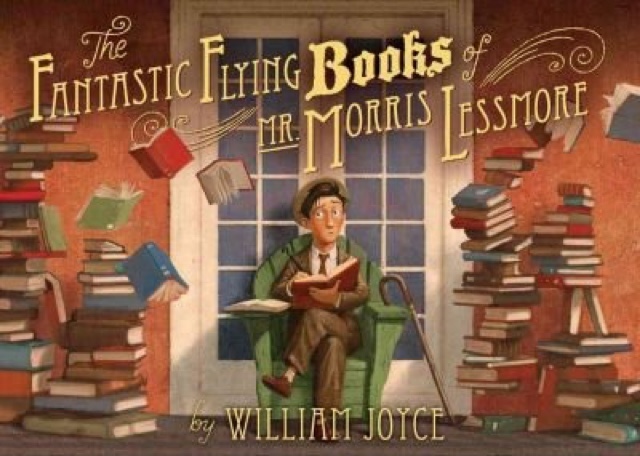 The Fantastic Flying Books of Mr. Morris Lessmore by William Joyce is just one of these rare books. Beautifully told and illustrated it demonstrates the journey stories take us on and how we are better for choosing the love of reading. Morris loves words and reading and he is transported into a new world. Kids love the illustrations by Joyce and the little light bulbs pop as the story unfolds. And my assignment for this month is done. March will not be as fruitful because I go back to my own writing. 29 days of book love..